The base is also made in a larger sizes for dining and side tables. This base can be used for various types of table tops. This particular one is handy to store away items such as remote controls and other paraphernalia. 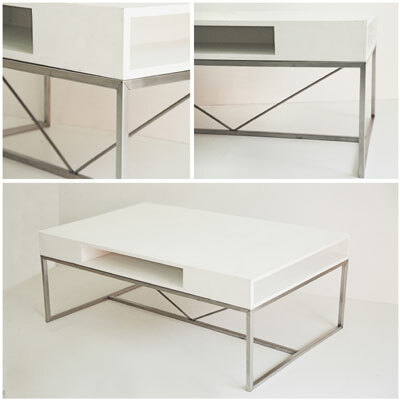 A matching set of tables looks fantastic in studios, offices and other multifunctional rooms.